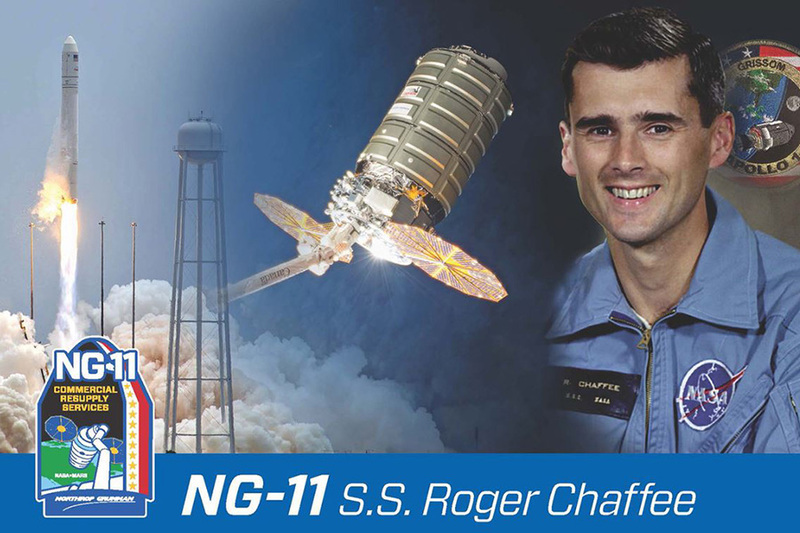 Northrop Grumman named its NG-11 Cygnus spacecraft after Roger Chaffee (BSAE ‘57), the Apollo 1 astronaut who died in a fire during a pad test. The “S.S. Roger Chaffee” will launch to the International Space Station atop an Antares 230 rocket April 17 at NASA’s Wallops Flight Facility. The uncrewed Cygnus will remain at the station through July. It is Grumman's tradition to name each Cygnus spacecraft after an individual who has made a significant impact on the aerospace industry. After a series of rigorous psychological and physical examinations, Chaffee officially joined the astronaut corps in 1963. He trained as an astronaut for nearly two and a half years before he was named as a pilot for the first Apollo Earth-orbit mission along with Virgil “Gus” Grissom and Ed White II. He was the first to be selected to crew the inaugural flight of a brand new spacecraft – an exceptional accomplishment within an accomplished group. The primary purpose of the Apollo I mission was to test and evaluate all major spacecraft systems as well as the ground tracking and control facilities. On January 27, 1967, Chaffee and crewmates entered their Apollo module for a countdown rehearsal of the launch. As the crew progressed through their simulated countdown a fire broke out inside the command module. All three astronauts died in the tragic accident. Chaffee was inducted into the U.S. Astronaut Hall of Fame on October 4, 1997. Although Chaffee never made it to space, his sacrifice inspired fellow and future astronauts to push the boundaries of spaceflight, Grumman said in its release.